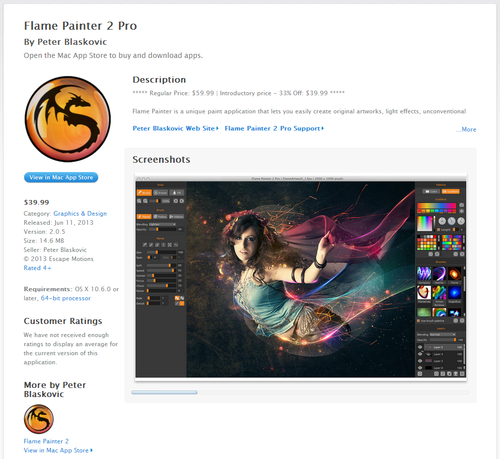 We are finally on Mac App Store with both Flame Painter 2 Personal and Professional edition! Because Mac users had to wait so long we have an introductory discount 33%. If you like it, please rate it and write a short review on the App Store, it will help us a lot. Thank you!